Operatives of the Department of State Services have arrested the Speaker of the Zamfara State House of Assembly, Sanusi Rikiji, in connection with an alleged plot to impeach the state Governor, Abdulaziz Yari. Rikiji and other principal officers of the Assembly, who were picked up on Tuesday in Gusau, the state capital, are said to be currently detained in Abuja. Those said to be detained along with him are the Deputy Speaker, Muhammad Gumi; the Majority Leader, Isah Abdulmumini; and the Chief Whip, Abdullahi Dansadau. The House of Assembly, however, on Wednesday, listed six impeachable offences against Yari, in an apparent move to begin an impeachment process against the governor. A statement issued in Gusau by the Chairman, Zamfara State House of Assembly’s Committee on Information, Alhaji Mannir Gidan-Jaja, accused the governor of misappropriating billions of naira from the state coffers. The Assembly also accused the governor of failing to remit funds deducted for pensions and gratuities to pension fund administrators, as provided by law. According to the statement, the governor had also ignored a resolution of the Assembly not to appoint Alhaji Murtala Jangebe as the Chairman of the state Universal Basic Education Board. It said that the Assembly had passed a vote of no confidence on Jangebe, after he was allegedly found to have misappropriated over N1bn belonging to the board in 2014. The statement accused the governor of frequent foreign trips which, the lawmakers argued, had negative impact on the day-to-day running of the government, apart from imposing financial burden on the state. The lawmakers condemned the arrest of the Speaker, his deputy, Majority Whip and supporting staff of the assembly by the DSS. The lawmakers described the arrest as a clear interference in the functions of the legislature. The statement urged President Muhammadu Buhari to caution the DSS against further interference in the matter. “We are also demanding the unconditional release of our principal officers, who are currently under detention with the DSS in Abuja,’’ the lawmakers said. The state Assembly also alleged that the governor did not release monthly cash allocation to the Ministries, Departments and Agencies, including the state Assembly. They also questioned the usage of funds meant for local governments for state purposes. Furthermore, the legislature expressed its distaste for the appointment of the Chairman of SUBEB, who it said should not occupy public office. 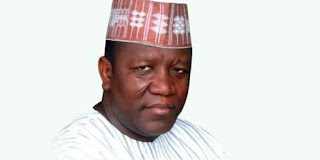 Responding, Yari described as wild all allegations levelled against him by the state assembly. Yari, who spoke through one of his Special Advisers to the governor, Alhaji Ibrahim Dosara, faulted the six-point grudge against the governor, who he claimed the President had publicly acknowledged and praised for being one of the best performing governors in the country. On the allegation against the SUBEB’s chairman appointment in spite of alleged corruption levelled against him by the lawmakers, Dosara said Jangebe had yet to be found guilty by any court of law of competent jurisdiction. He said the governor also challenged the legislative members to provide any evidence or proof of his use of state funds on his numerous trips outside the state or the country. On the demand for the release of the principal officers currently answering questions with the security agencies, he said it was incomprehensible to accuse the governor or even ask him to secure the release of their people because the governor has no hand in their plight. “He is neither the DG, SSS nor the IG of Police,” he said.